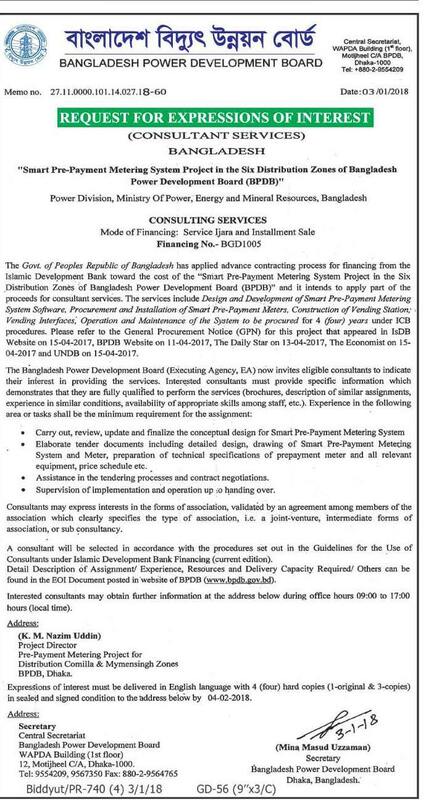 BPBD has published a new job circular 2018 for consultant services under "Smart Pre-Payment Metering System Project in the Six Distribution Zones of Bangladesh Power Development Board - BPDB", power division, ministry of power, energy and mineral resources, Bangladesh. Circular Publication date: 3 january, 2018. Application deadline: 4 February, 2018. Details are on the following circular.